Get your antibody produced right. On time. Accelerating the development and manufacture of monoclonal antibodies is critical for reducing the time it takes to move a promising therapy from bench to clinic. Most early-stage biopharmaceutical companies lack the internal resources to develop and optimize a production cell line and manufacturing process and to conduct cGMP manufacturing. Larger companies that have those resources may lack the capacity to produce multiple antibodies simultaneously. Wherever your company is in its evolution, AGC Biologics can deliver at least 500 grams of monoclonal antibody manufactured under cGMP. AGC Biologics has reduced the time and cost needed to generate monoclonal antibodies for clinical use through the development of our proprietary CHEF1® expression platform. The platform’s unique features and our highly defined, template process for deploying it enables rapid generation of monoclonal cell lines that provide consistent, robust, and stable protein expression. Cell line development using the CHEF1® platform is entirely animal origin-free, and results in cell lines that are adapted to grow in chemically defined media. Your high titer, stable, monoclonal CHO cell line is typically completed within 12 weeks of transfection. 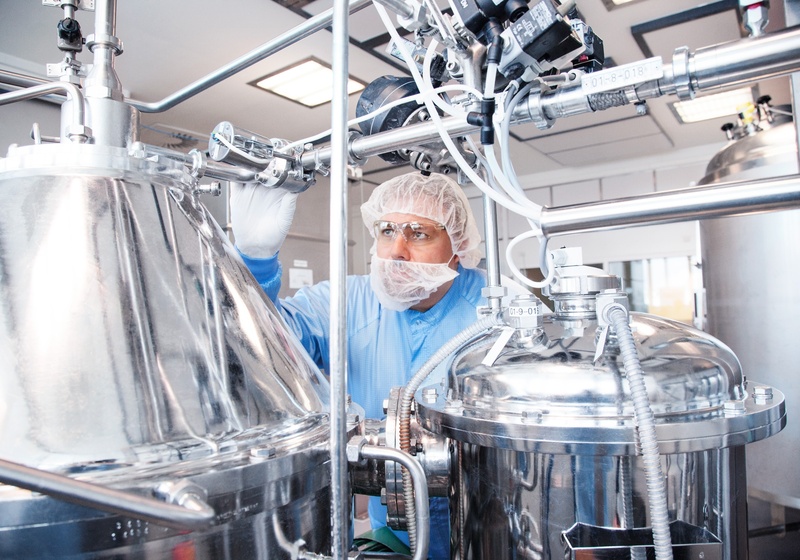 Based on our expertise across the entire manufacturing development continuum, we have established templates for upstream and downstream process development, analytical and formulation development, and seamless process transfer to cGMP manufacturing for the CHEF1® expression platform. Manufacturing in single-use bioreactors makes it easy to transfer the process to other manufacturing sites, although you may wish to stay with AGC Biologics once you experience our high level of expertise and our absolute commitment to customer satisfaction. Our ability to provide comprehensive support from DNA to API gives you the ability to focus your efforts on the other critical components of your antibody development program. Our CHEF1® expression platform can accelerate your development timeline and support your proof-of-concept clinical trials. The platform is so well-characterized that it allows for straight to cGMP manufacturing, with no engineering or scale up run required. This saves you time and money, while our target production of 500g of API with full release gives you the assurance you need to implement your drug development strategies. While there are inherent uncertainties in developing novel therapies, getting the cGMP material for your clinical studies shouldn’t be one of them. With AGC Biologics, you can rest assured, it isn’t.